Storage units are having a moment as more and more people are recognizing the benefits of renting a space to store their belongings. No matter the reason, having a storage unit in a reliable storage facility is a fantastic option for those who want a safe, accessible and easy-to-find option for their belongings. If you are considering renting one, here are three things to know before you rent a storage unit this summer. 1. There are plenty of reasons to rent a storage unit. For each person, there is a personal reason why renting a storage unit this summer is a priority. Perhaps you are moving to a different house or apartment, regardless of whether it is down the street or on the other side of the world, and you need a place to keep your possessions while the move happens or until you return. On the other hand, you may be perfectly content in your current abode and are investing in home renovations that are only going to make your home even more personal. While the upgrades are occurring, there is a high likelihood that you would prefer your own items to be stored away out of harm’s reach. This is another common reason for renting a storage unit for a month or two. Thirdly, you may want to declutter your home and store away items and clothing that aren’t necessary for the upcoming months. Especially if you have a family, you may find every cupboard and drawer piled high with possessions. Taking the time to organize and sort out your home, and then removing winter belongings and placing them into storage, can bring much peace of mind. These are just three examples out of the many reasons that people find benefits in renting a storage unit (and there is no right or wrong reason)!. 2. Not all storage units are alike. Now that you know you want to rent a storage unit, it is time to pick the appropriate one for your situation and your possessions. Unfortunately, not all storage facilities and units are the same, and there is a wide variety in terms of the quality of the unit, location, and service you may find. You want to make sure that any storage unit you rent has climate control, reasonable hours for accessing your unit, video monitoring and several steps of gates/locks, in-person surveillance, different size options, and a well-lit area for when you are dealing with your possessions. Full-service storage: Valet-like service where the company comes and picks up your belongings and takes them to your storage unit. The company will also document all the items in your unit. Self-storage: You are responsible for moving and removing your possessions and you need to keep track of your items on your own. However, if necessary, you can also hire office removalists to help you with the removal aspect. 3. How you pack is crucial to the organization of your storage unit. While it may not seem too important when you are just trying to get all your belongings to fit inside the unit, the truth is that how you organize and pack your storage unit is of utmost importance. Therefore, well before the removal date, start investing the necessary time to guarantee that your possessions are well-packed. This means no procrastinating, no matter how overwhelming the job may feel! Start by adequately padding and packing all your breakables and filling boxes with the items that you don’t use on a regular basis. That being said, make sure to pack boxes based on rooms and label them accordingly. This will assist you in locating specific items whenever necessary and will make unpacking a lot more enjoyable. 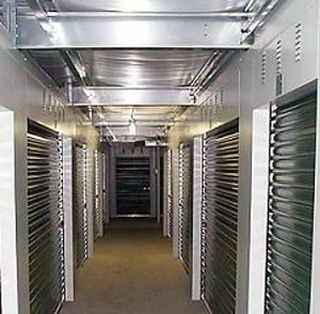 Have you ever rented a storage unit? What do you wish you had known before you started moving your belongings in? Let us know in the comments below!